Aspect Aerial Filming is based in Hythe, Kent operating Unmanned Aerial Vehicles to provide a range of photographic and filming services throughout the UK. A new website for a new company to showcase their aerial films and photography services. The Aspect team were keen to do some of the work themselves so WordPress was the ideal CMS solution. WordPress allowed Oakes Media to concentrate on the layout and functionality while Louisa and Michael worked on adding the all important content to the templates. 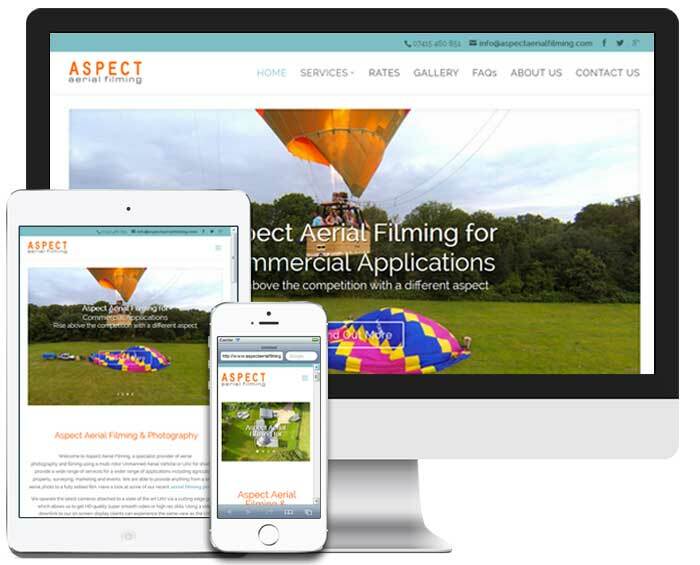 Like our other websites, the Aspect Aerial Filming site is ‘responsive’ so it looks great on desktops, laptops, tablets and mobile phones.